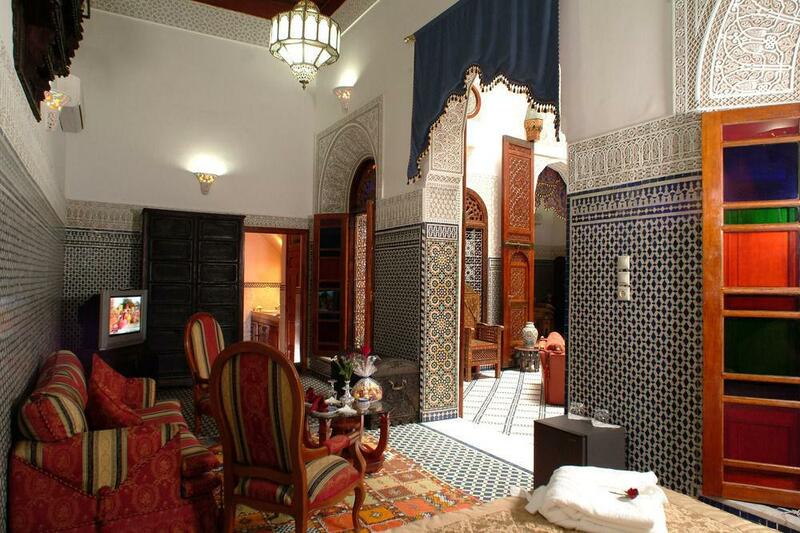 The mysterious Fès’ Medina is the place where XII centuries of art and knowledge are kept. 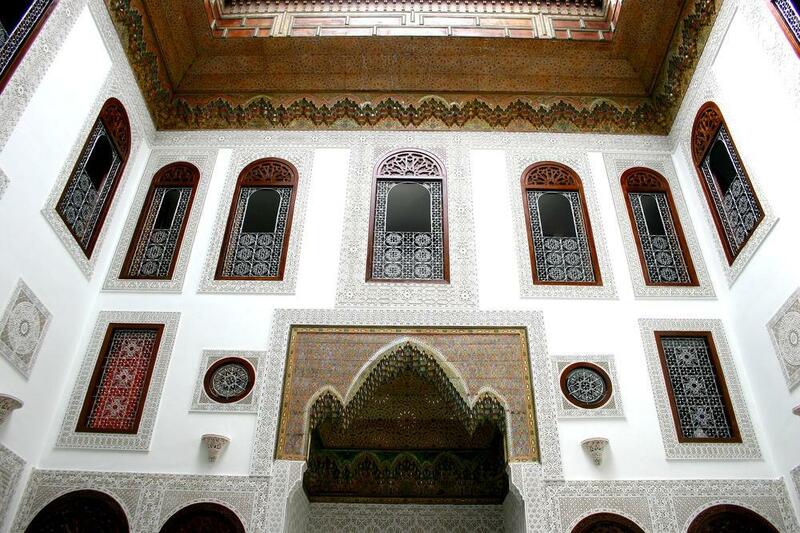 A unique architectural masterpiece, refined in every detail. 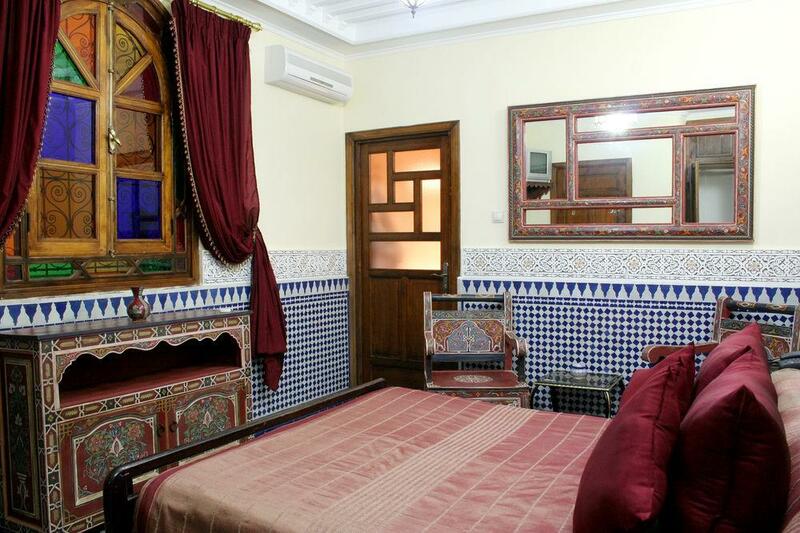 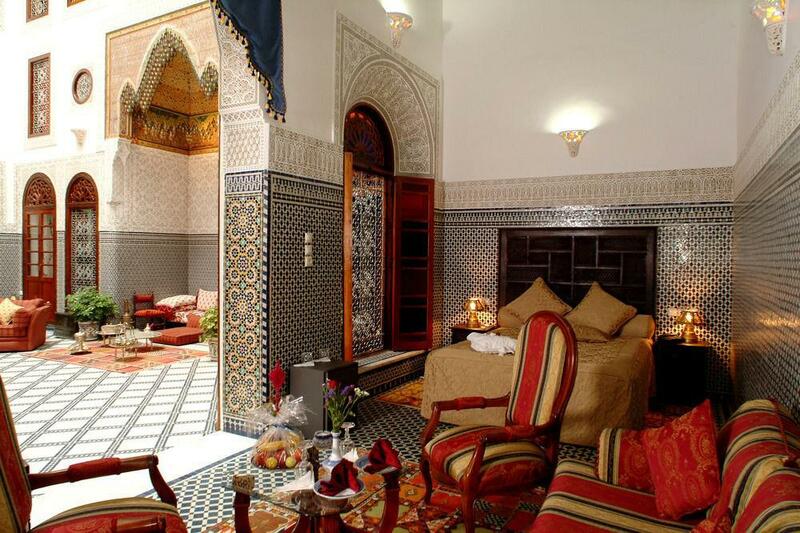 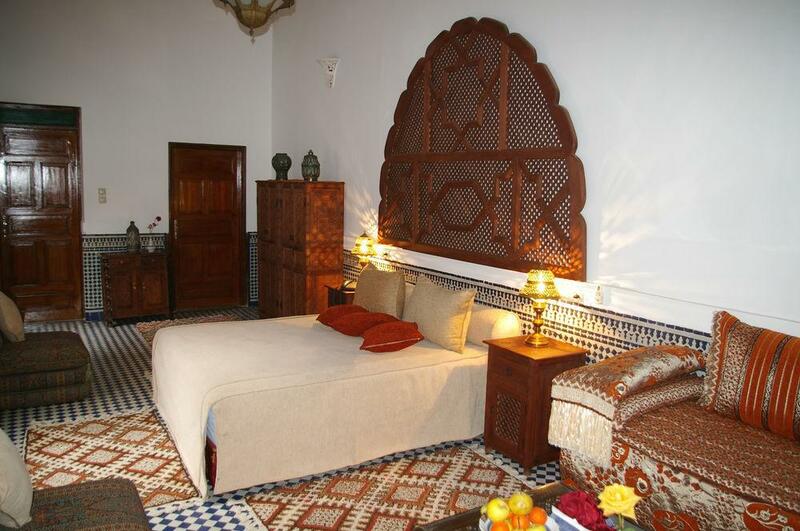 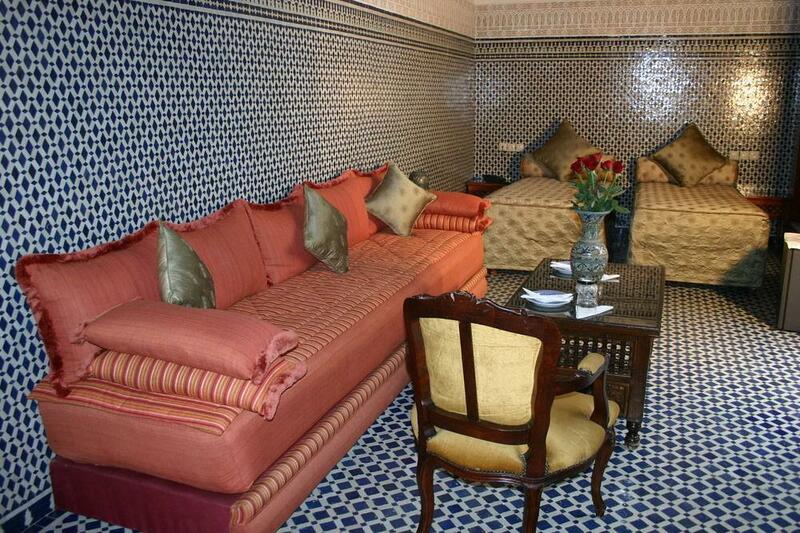 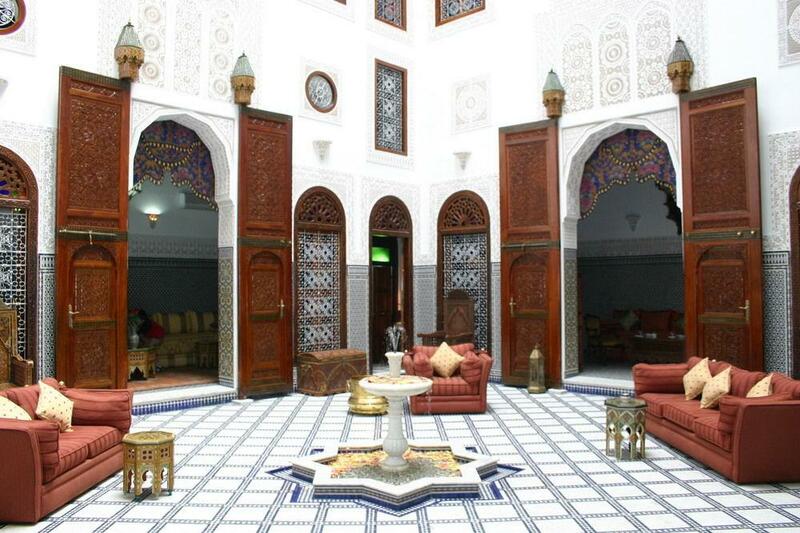 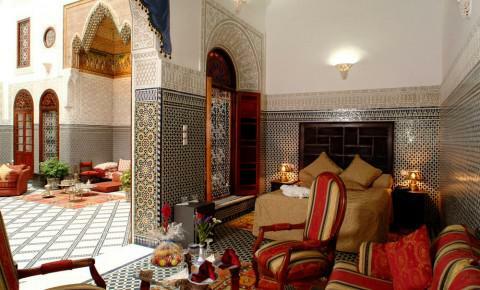 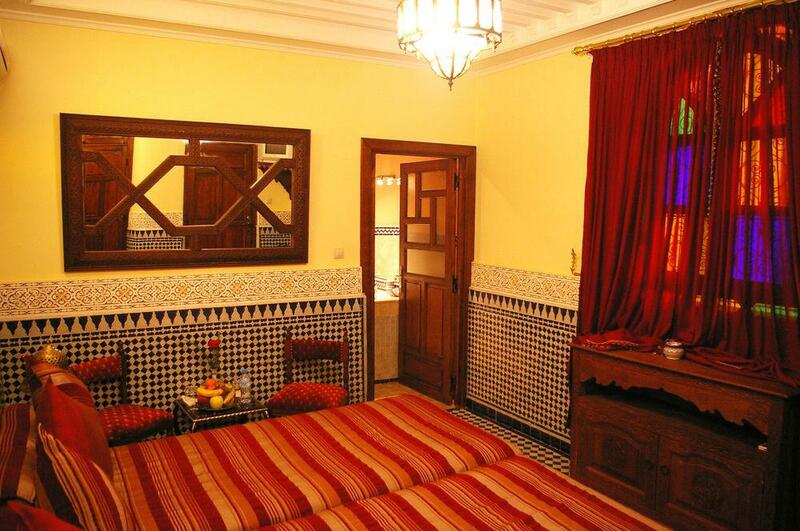 Inside the Medina we find a really special treasure: Riad, the pearl of Medina. 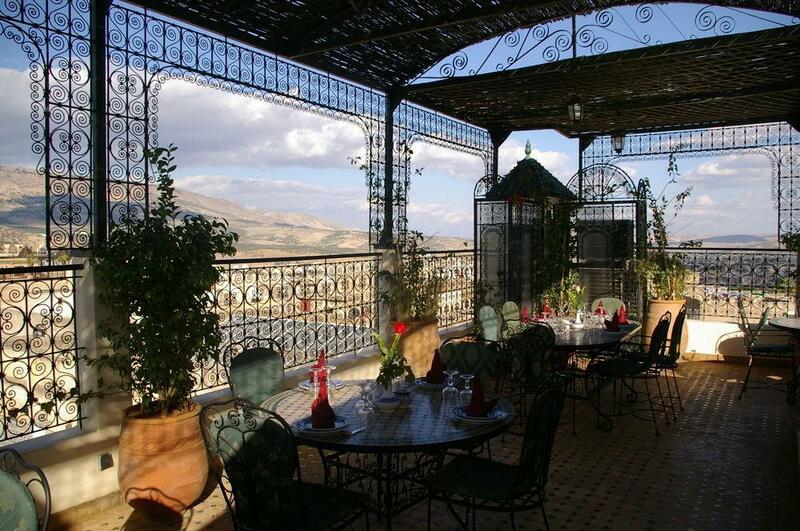 A sumptuous palace, in the Douh district near the Batha Palace and the monumental door of Bab Boujloud, wisely restored to let its guests enjoy a “one thousand and one nights” atmosphere without forgetting modern comforts. 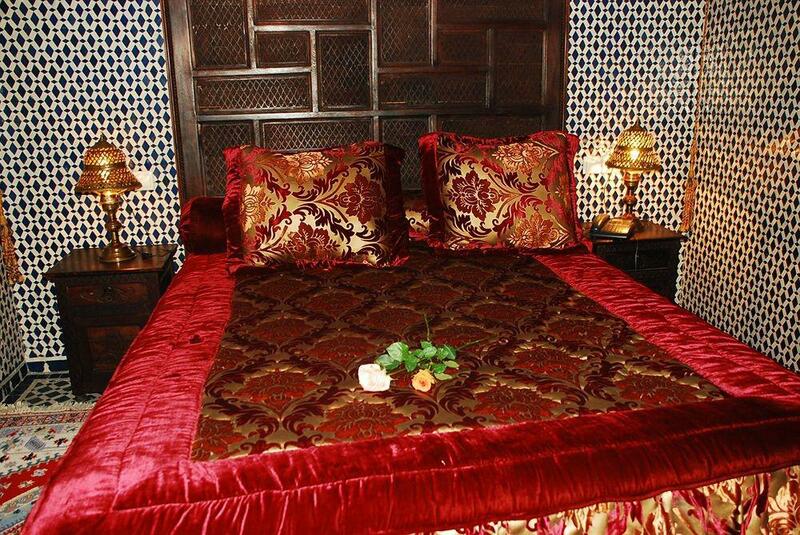 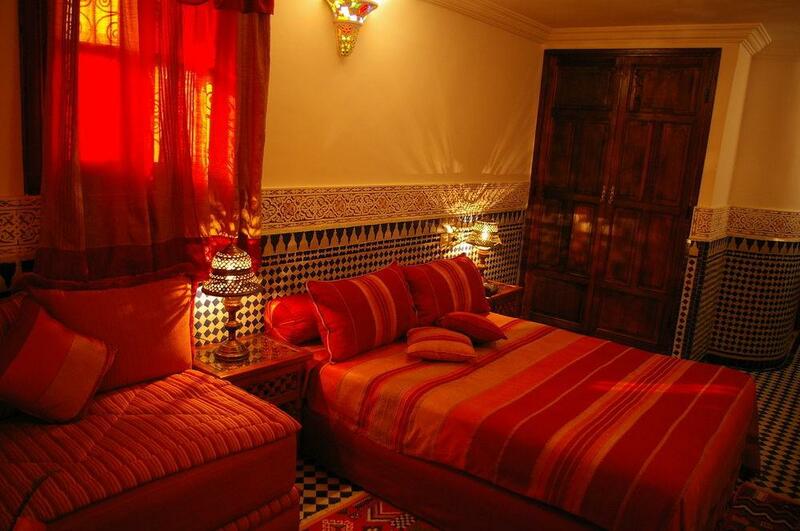 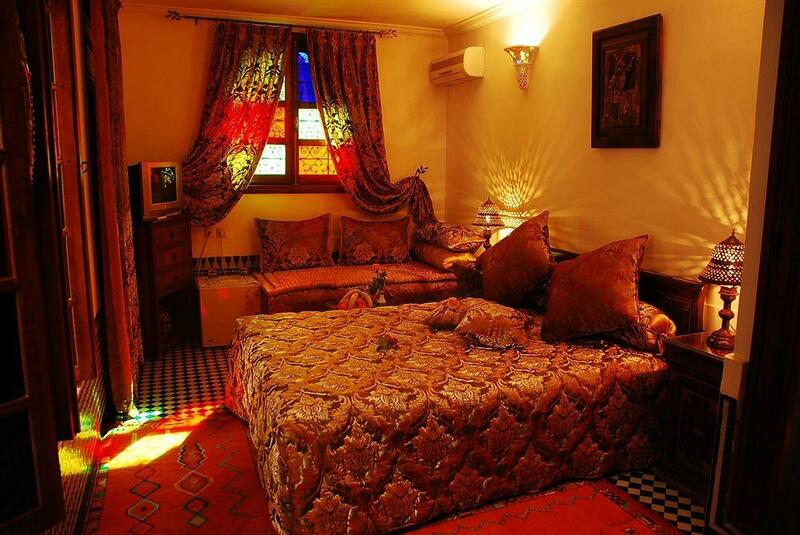 Riad the Pearl of Medina is a place that will offer us an explosion of sensations. 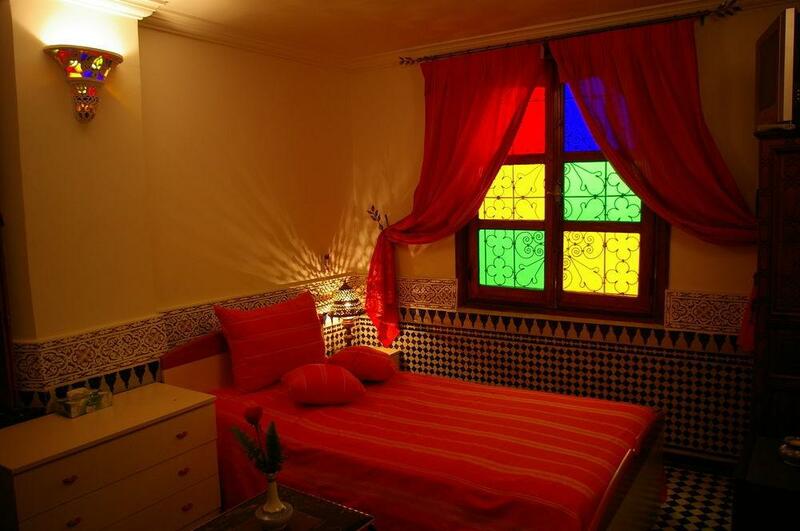 The marble, the coloured glasses, the plasters, and the wrought iron offer a discovery of colours for our sight, shapes for our touch and scents for our smell. 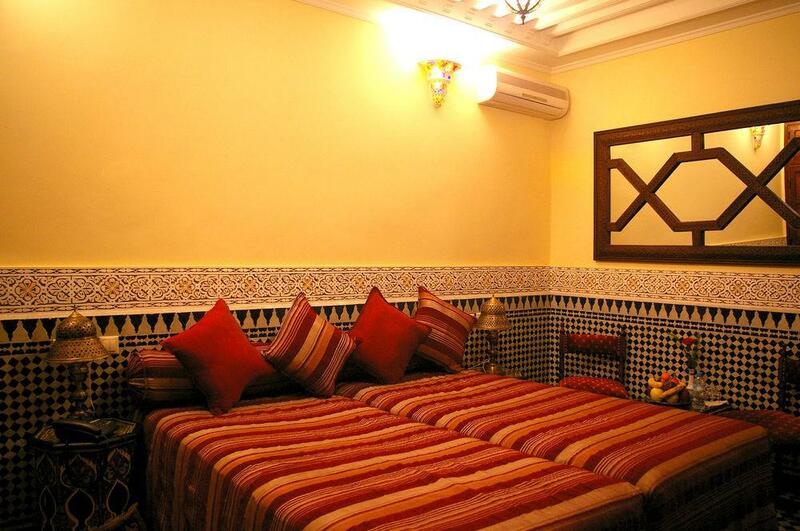 The rooms, private and comfortable, are placed around the central patio. 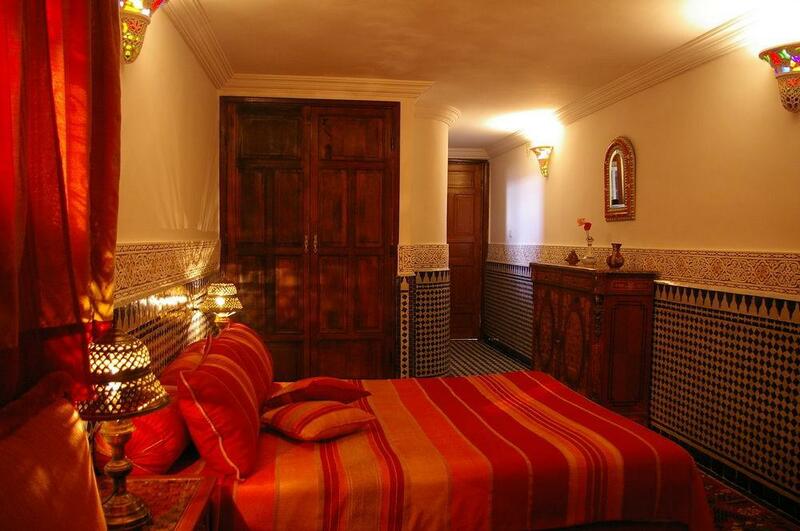 Thanks to the coloured plasters and light games they give us a rich atmosphere. 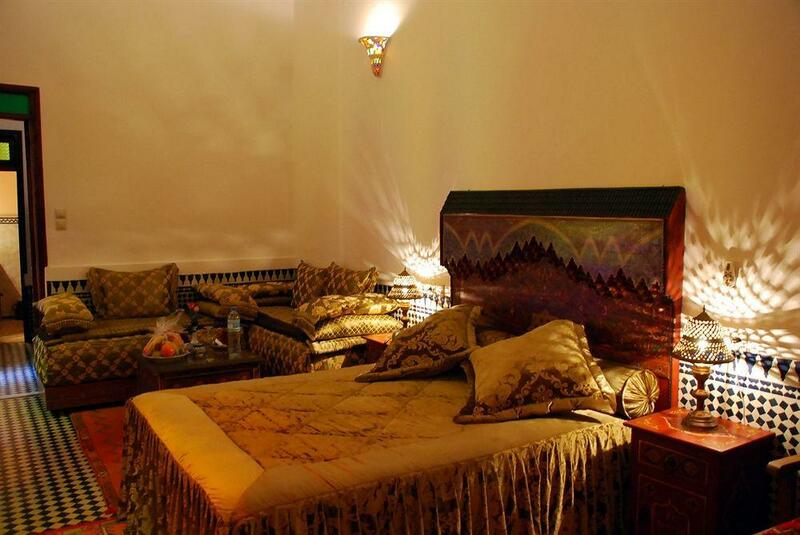 The rooms are also all equipped with the latest technologies to ensure our relaxation. 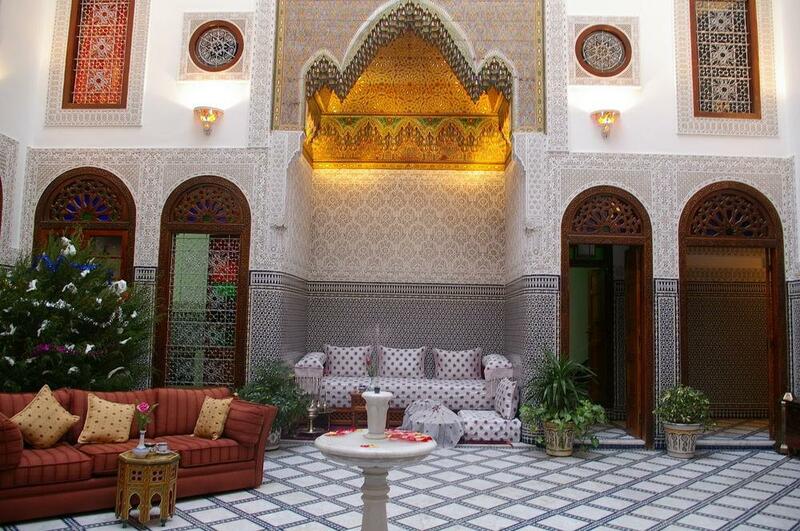 The central Fountain, in the center of the patio, offers a regenerative, refreshing sensation. 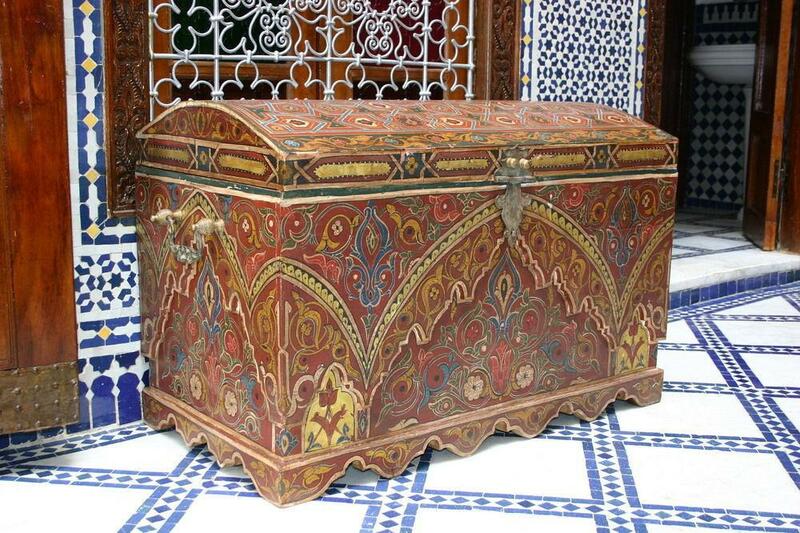 Every angle hides a little treasure of art that represents the ancient artistic tradition. 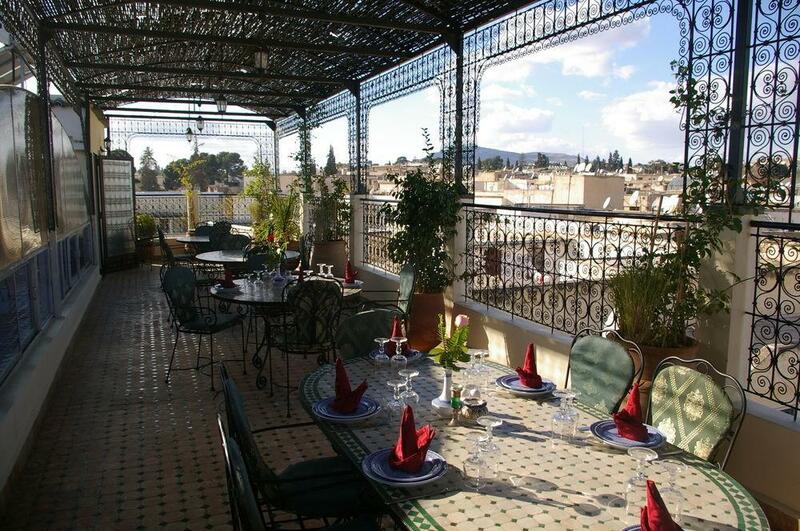 From the terrace it is possible to admire an exceptional view of Medina, from here, immersed in a marvellous setting, we can also enjoy the delicacies of local cuisine. 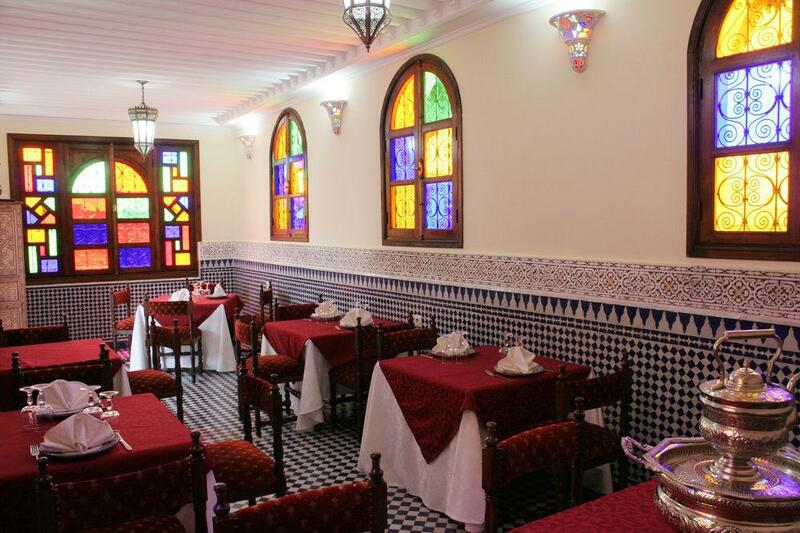 Fès’ cuisine is rich and refined and has been influenced through the course of history by many western cuisines, having been a crossroad of people and culture.